Safety and efficiency are becoming increasingly important when working with construction cranes. 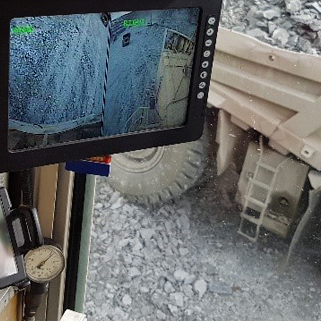 Orlaco's innovative camera monitor systems offer additional safety and efficiency by providing a view of winches, hooks and loads, and the areas behind or to the side of the machine. 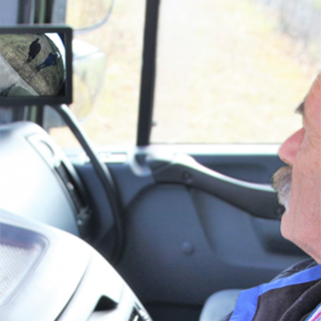 In addition, vision solutions provide more comfort for the operator. Our systems allow the operator to react immediately if there are people or objects in the crane's vicinity. We develop high-quality, professional vision solutions for every situation, with the aim of increasing safety, efficiency and comfort. In Orlaco's view, there should always be optimum vision around all tower cranes, top cranes, telescopic cranes and crawler cranes. 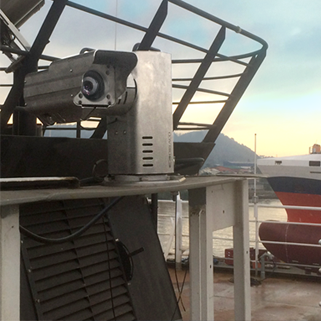 Orlaco works closely with OEMs around the world to integrate camera monitor systems. 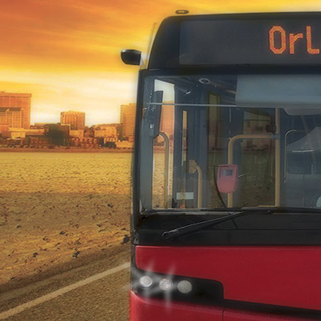 In addition, Orlaco develops and manufactures standard and custom vision solutions specifically for the aftermarket. Our camera monitor systems are developed and produced according to the highest quality standards. 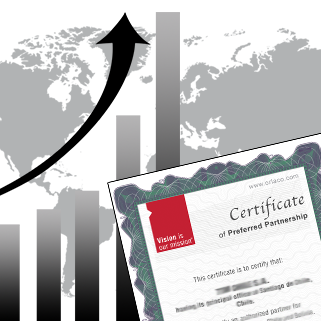 Specifically, we comply with international automotive standards such as IATF 16949 and work with proven automotive methods such as APQP/PPAP. Discover our standard professional vision solutions for construction cranes below. For more information about standard and custom vision solutions, contact our specialists. A load-view camera, directed downward toward the hook from the tip of the boom, brings the work area into focus. The monitor in the cab ensures that the crane operator has a continuous view while lifting, whatever the position of the crane and load. The camera provides the operator with a complete overview so that any instructions can be verified by the operator. A winch-view system provides optimum vision of the winches and other cables. This is important for monitoring and preventing damage to the lines as they are unrolled and rolled back up. With one touch of the monitor, the operator can easily switch between different camera images of the crane. Front and curb mirrors are a thing of the past. 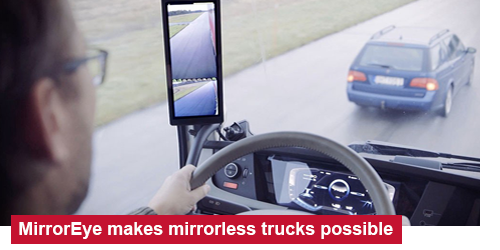 Get an excellent view of blind spots at the front and side of your trucks in real time with our groundbreaking CornerEye digital HD camera monitor system. 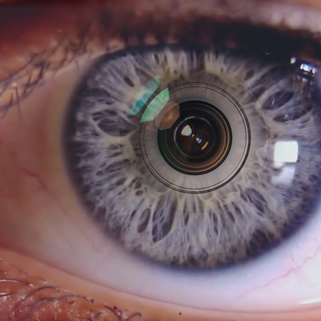 The system has a wide-angle lens that combines with the latest technologies to deliver a field of vision of 270°. This will give you a good view of cyclists and pedestrians (class V and VI) and allow you to turn right in safety. As a result, you can maneuver efficiently and effortlessly through the busiest traffic situations. With an Orlaco rear-view camera on your crane, you can gain a better view of the working area to the rear of the crane and drive more safely when reversing. The monitor in the cab switches automatically to the camera image when reverse gear is engaged. You can also set the system to continuous or manual operation. 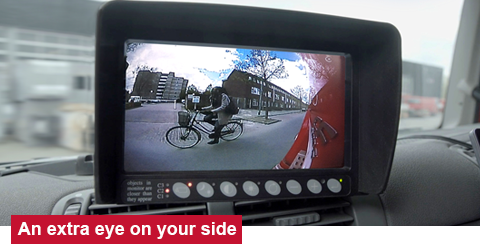 With a rear-view camera combined with RadarEye on your crane, you can always reverse safely. This camera system is equipped with reversing sensors that warn you immediately about hazardous situations via audible signals and graphic overlays. 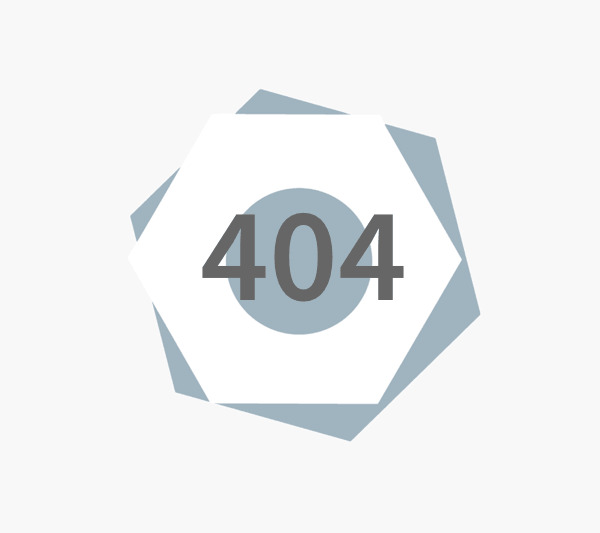 The Orlaco RadarEye system can be enhanced with multiple sensors, for example to detect additional hazardous areas. 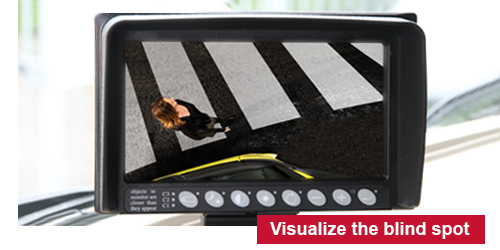 In addition, this system can be used as a blind spot assistant to detect cyclists and pedestrians. 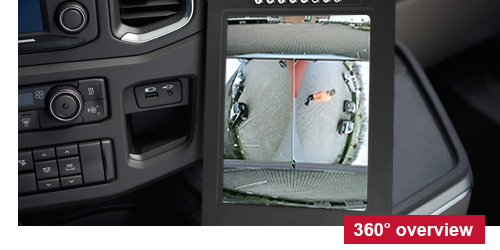 Replace your front mirror with our front-view camera. This is a camera that perfectly visualizes the class VI area, so you can always see cyclists and pedestrians in time. 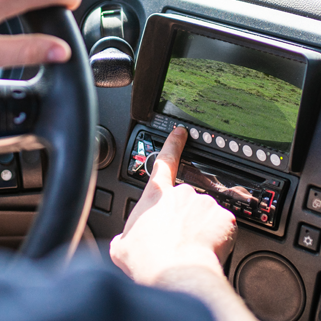 With an Orlaco front-view camera on your truck, you can visualize blind spots and gain the best possible view of the area in front of the truck. Turning off or changing lanes with a crane is a lot easier with an Orlaco side-view camera. It is easy to see the area immediately next to the crane or traffic approaching the crane. 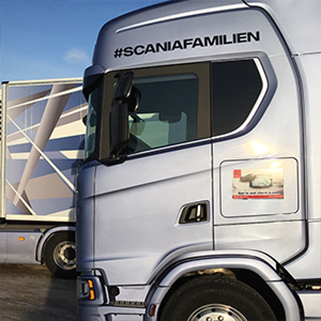 With a side-view camera, the maneuver is a lot safer, more efficient and more comfortable, and road users and obstacles are clearly visible. 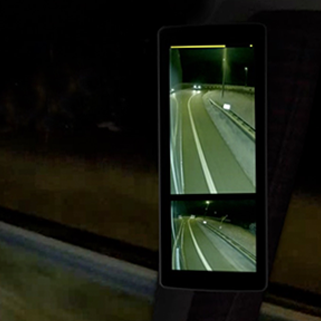 This camera monitor system can be combined with front and rear-view systems to optimize the view further. 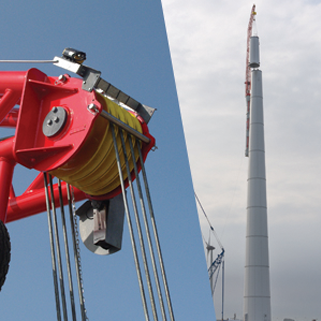 The Orlaco SurroundView system offers you a 360° overview around the crane without any delay. As the images are not merged using software, everything around the machine remains visible without any blurry, distorted overlaps. The images can be displayed in various layouts and can be switched based on the direction indicators and/or vehicle speed. People and objects in the vicinity of the crane are therefore always shown in real time.